Back in the pre-kids NYC days, I used to do brunch pretty regularly. I was a Master's student who worked as a bartender on the side, so brunch and I were made for each other. One particularly memorable one included the lemon ricotta pancakes at the no longer there Five Points in NoHo. Fast-forward seven years, a marriage and two kids. Brunch doesn't ever happen. This Monday, after two weekends in a row of workshops, my fridge was a wasteland. Then, my husband, in one of the most amazing moments of our marriage, cleaned our fridge out. Husbands, if you want to add spice to your marriage, clean the fridge. Bonus points if she's telling you what to keep and what to pitch with a latte in hand from a nearby stool. Anyhow, my brother was in town visiting with his girlfriend, so Monday morning I had many mouths to feed. I had pulled 200 g of starter out of my sourdough crock the night before and fed it in anticipation of making something the next morning. Mark had unearthed a half-used ricotta. I always have lemons. The answer was right in front of me in my pristine refrigerator. 200 g (approx. 2/3 c.) of starter (fed with 100 g (approx. 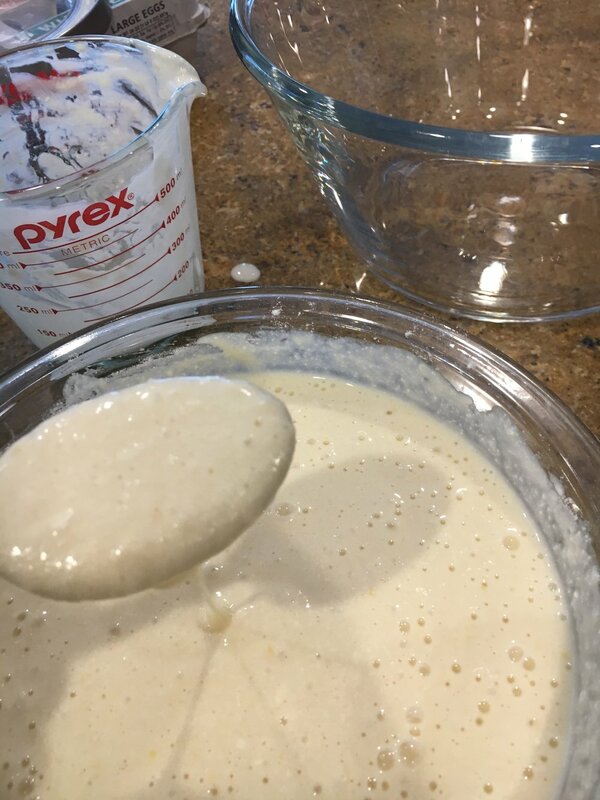 1/3 c.) each of water and flour) *If you don't have sourdough starter you can substitute 2/3 c. milk, 2/3 c. flour, with a slightly denser, less complex result. 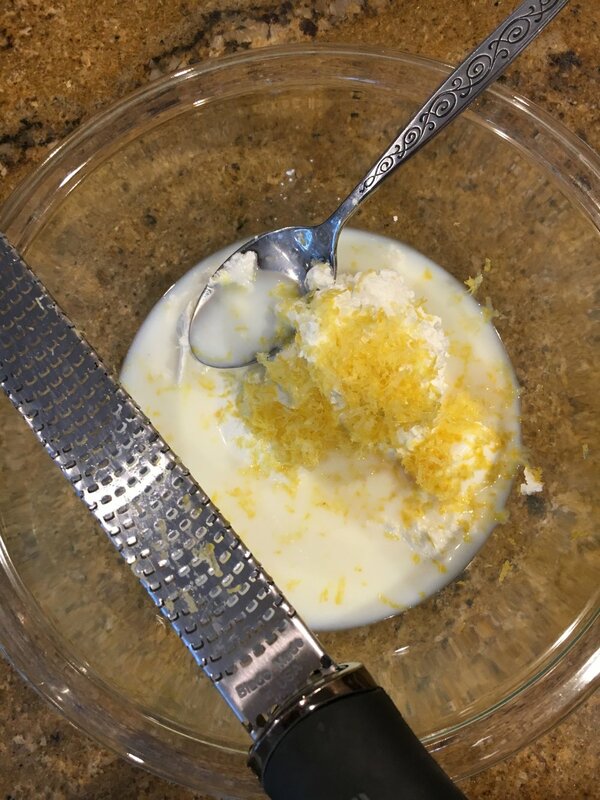 Mix starter with milk, eggs, lemon juice and ricotta in a large bowl. Whisk until well combined. Add baking powder, sugar and salt and stir until combined. I made the first half of the pancakes without additional flour, and they were more crêpe-like. My favorite. My kids wanted "fluffier" pancakes so I added the 1/2 c. of flour which made a more traditional pancake. If you add flour, combine with sugar, salt and baking powder and then add to the wet ingredients and mix until just incorporated. You can play with the amount based on what consistency you like. Heat a cast-iron skillet over medium heat. About every 4th pancake, I swirl a small sliver of butter in the pan just to ensure they don't stick. Serve hot or freeze between sheets of paper towel or parchment for quick breakfasts.